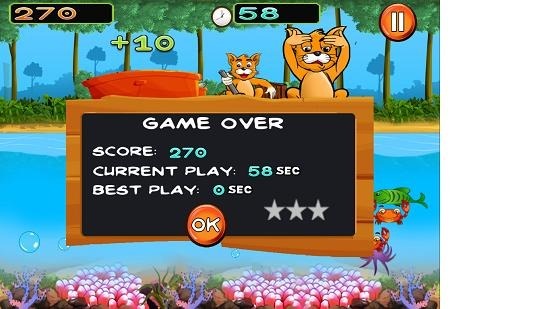 Fishing Cat is a fun fishing game app for Windows 8 and 8.1. When you run the game, you will be presented with an interface allowing you to read the help, start the game or toggle the sound. When you choose to start the gameplay, you will be taken to the level selection interface. The level selection interface offers a ton of levels which you can play but these get unlocked only when you complete the objectives of the previous level and finish it. 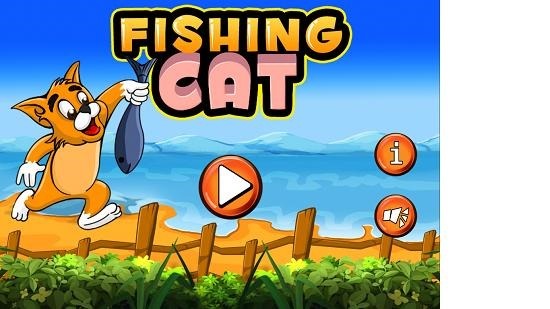 Fishing Cat is available for free from the Windows App Store. 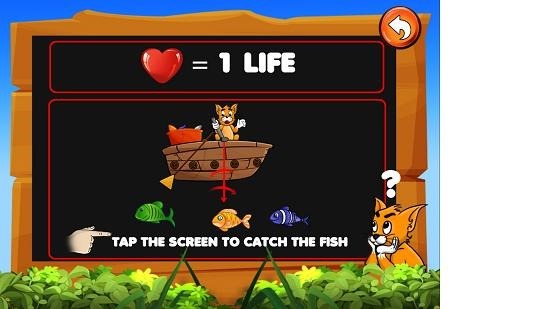 Simply move your mouse around to toggle the aiming lines, and tap on the screen (touchscreens) or click the left mouse button when you see an approaching fish. If you have aimed correctly, your line will extend downward on to the fish, and pull it up into your fishing bucket, awarding you points. On launching the game, you will see the below interface. To read the help, just click on the ‘i’ button. You can see the help section displayed below. You can then return to the main menu of the game by clicking on the arrow button at the top right of the above screen. You can then click on the Play button in the main interface, you will be presented with the level selection screen. 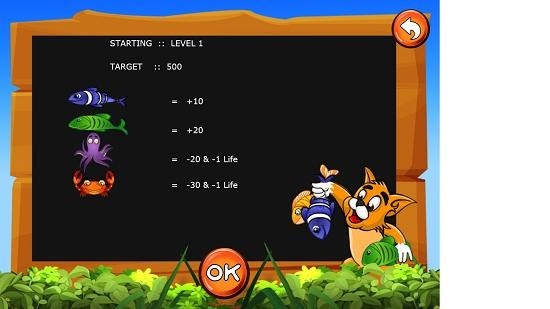 Once you choose a level in this screen, you will be taken to the level objectives screen which is shown below. Once you click on OK in the objectives screen above, you will be taken to the gameplay screen. In this screen, simply follow the instructions that are listed in the Controls section of this review. At the end of the game, you will be shown a game over screen. This is a wrap for this game’s features. 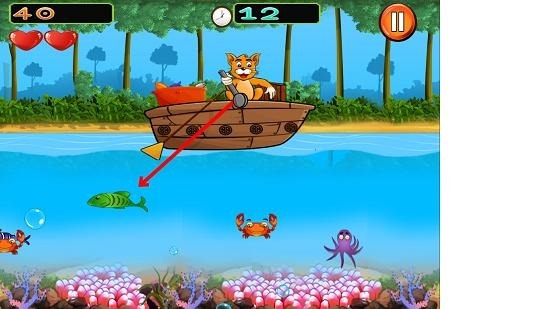 Fishing Cat is a fun fishing game for Windows 8 which is lightweight and can be grabbed for free from the below link.